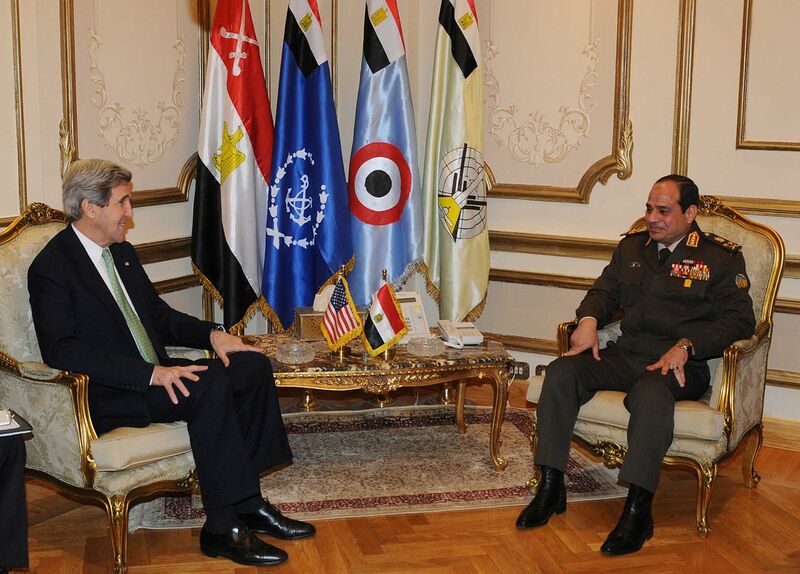 Did Secretary Kerry fail to use US capital with Egypt in trying to free the Al-Jazeera journalists? Or, as Andrea Teti argues, was there no capital to spend? I’ve been fielding a lot of questions about the sentences handed down the other day against the Al-Jazeera journalists. Most people seem to think that the absurdity of the sentences is a travesty of justice, and that Egypt should be responding to international outrage. Others think that the US is squandering its influence, that the fact that Kerry walked hopefully out of a meeting with al-Sisi only to have the sentences handed down the next day, shows that the US has failed to take advantage of its opportunities. Now, I can just send people to read an essay by my friend Andrea Teti, director of the University of Aberdeen’s Centre for Global Security and Governance and senior fellow at the European Centre for International Affairs, whom I met in Oxford (UK) a couple years back. The regime wants it to be clear that it can imprison anyone, any time, no matter how absurd the charges, how surreal the evidence or how great a travesty of justice the trial. In fact, the absurdity of the evidence and the Kafkaesque legal process are not an aberration. On the contrary, the greater their absurdity, the more effectively the new regime makes its point: Cross us at your peril; there is nowhere to hide. Egypt is pleasing its Gulf sponsors — especially the Saudis–who want to see revolutionary ardor suppressed and want to put rival Qatar, which backed Morsi’s regime, in its place. You can read Andrea Teti’s essay “Egypt’s Government by Baltaga” free on line courtesy of the Middle East Research and Information Project.